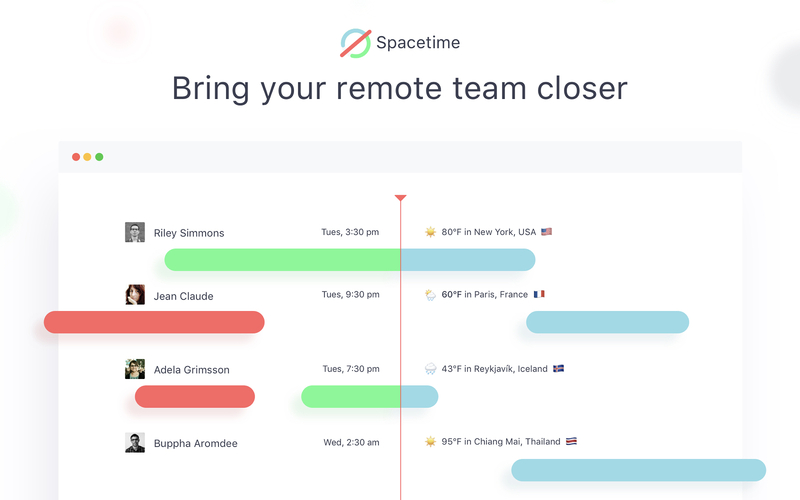 Spacetime is for distributed teams that work in different countries, continents, and time zones. 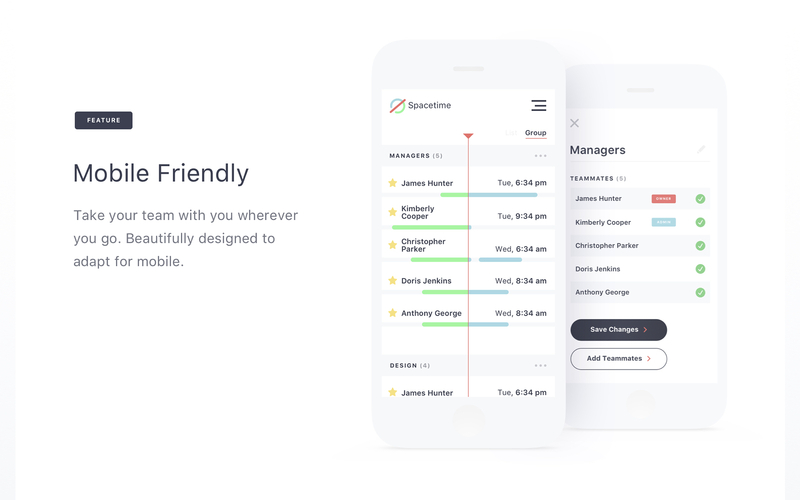 It puts information about working hours, local time, location, and weather at your fingertips, simplifying scheduling and coordination.Spacetime also comes with a companion bot that automatically translates times into local time zones. 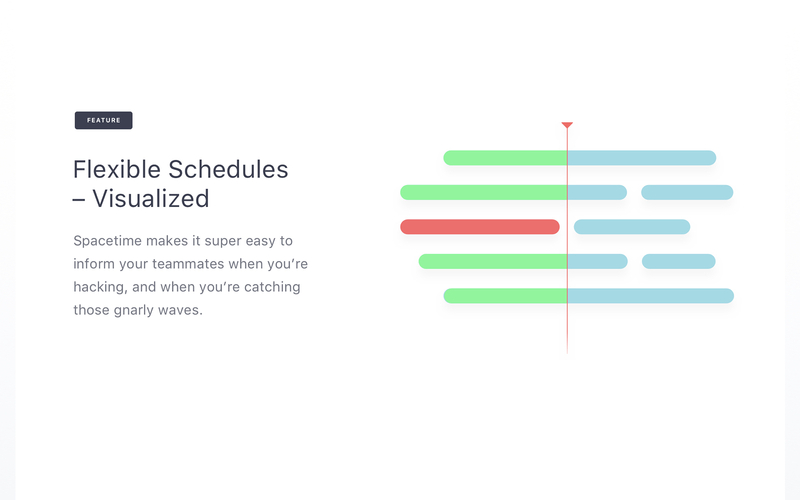 * Inform your teammates when you're hacking, and when you’re catching those gnarly waves. 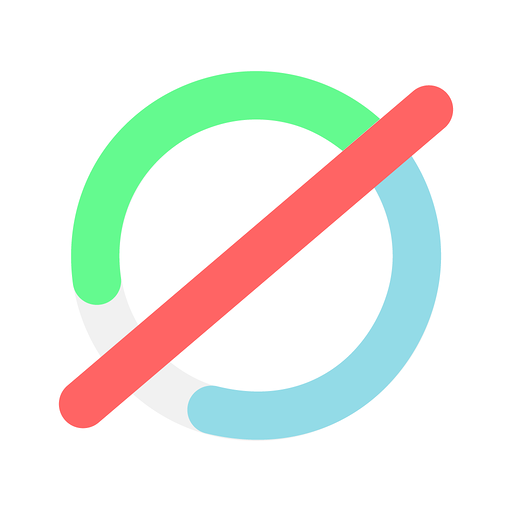 * Keep track of your team's work hours across countries and continents, without the mental math. 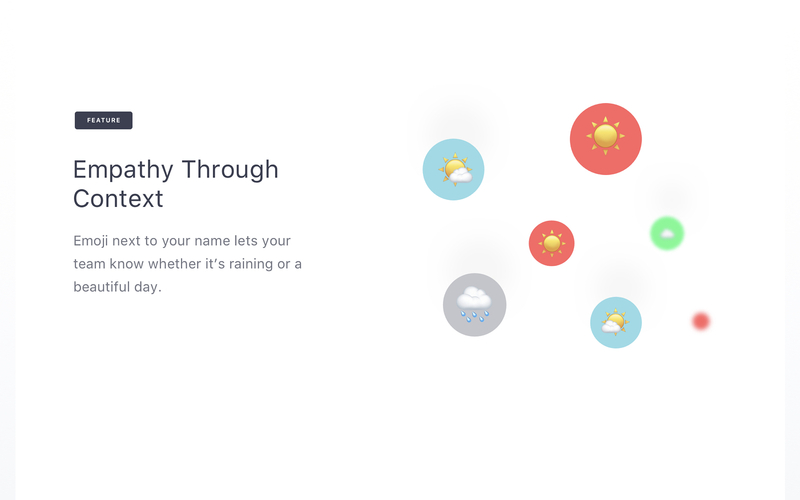 * Automatically display informative emoji next to your name, letting your team know the weather, if you're 'in', or where you are at the moment. Spacetime will be able to modify your profile fields, as well as any data you entered in them. 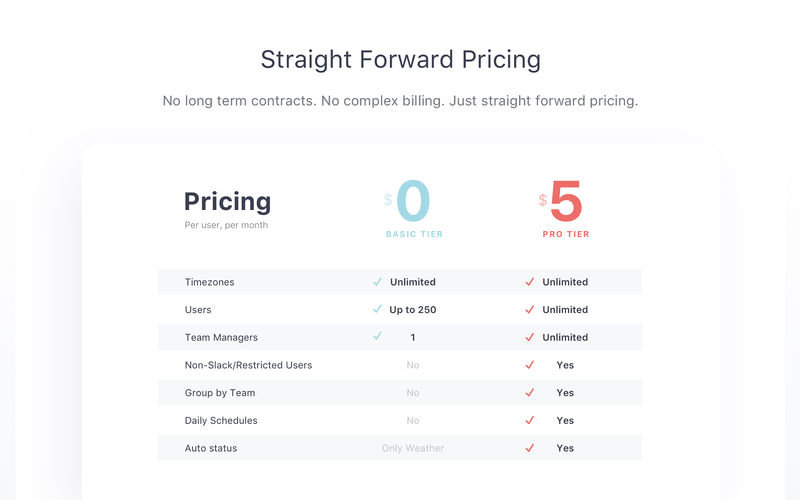 Spacetime will be able to view your user id number, full name, and workspace id number on your workspace. 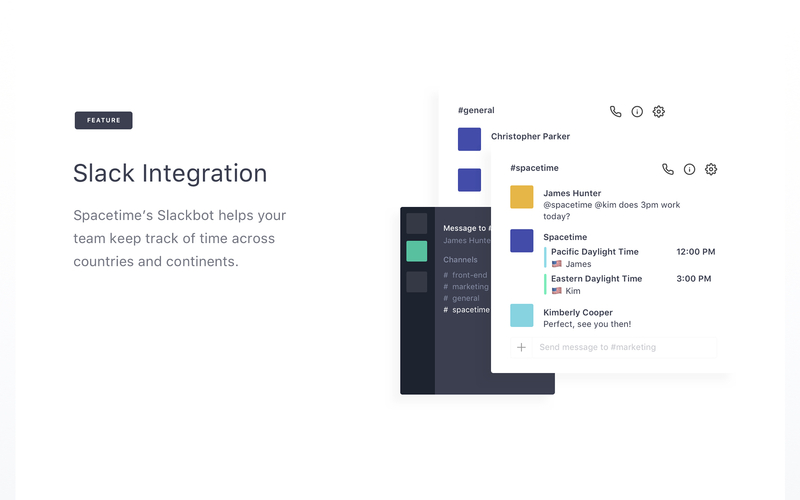 Spacetime will be able to install a bot user that appears in and has access to your workspace’s directory. It can also post messages and view activity on messages in any channel it is invited to.